There’s nothing like a shock to spur you into action. My cat Ruzz caught a bird yesterday. When I saw her with it in the front porch, I hoped it was a mouse or a sparrow, but as I bent closer I saw it was a waxeye. When I picked it up, its little broken body was still warm in my hand. I found myself crying as I buried it deep in the garden. A few moments later I saw a pair of bellbirds in the garden. These two had bands on their legs and were clearly visitors from Zealandia. What if she had caught one of these – a real native bird? Bellbirds are not common here in Kelburn – though we often have tui, kaka and ruru visiting us – and their numbers are increasing. 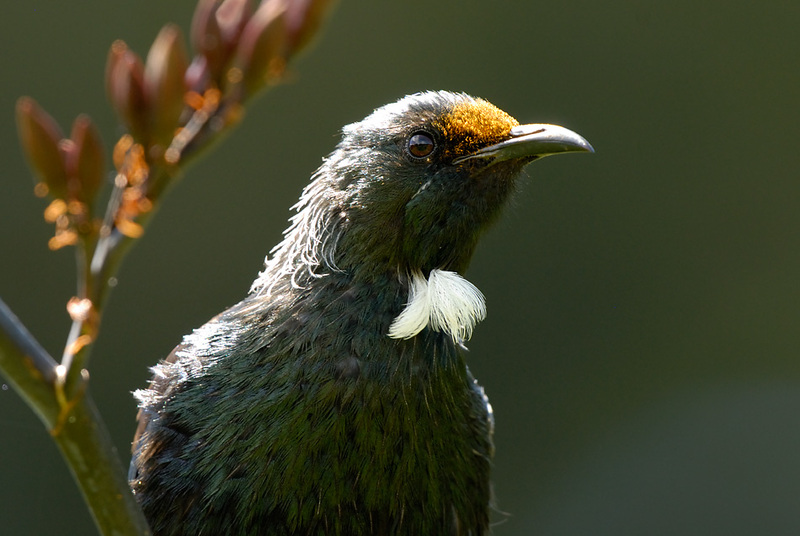 I love birds – I’m a member of Zealandia and like few things as much as running, walking and taking photographs there. Ruzz, our family cat, was bought as a kitten from the pet shop in Greytown when the children were small and we lived in Lower Hutt. Now we live close to the sanctuary, it doesn’t feel so good to own a cat. She catches skinks as well as the odd bird despite four bells on her collar. I’d like to not have a cat any more, but what are the options? Is cat euthanasia acceptable for the crime of killing birds – and would a vet do it? The short answer is no, they won’t put down a healthy cat. The vet recommended I get in touch with a cat re-homing group such as the Cat’s Protection League. But wouldn’t my cat just kill birds around her new home instead? Googling “stop your cat catching birds” I found a website called Enhancing the Halo – a new project set up by Gareth Morgan to get the community involved in pest control outside Wellington’s predator free reserves, so birds can spread out safely. 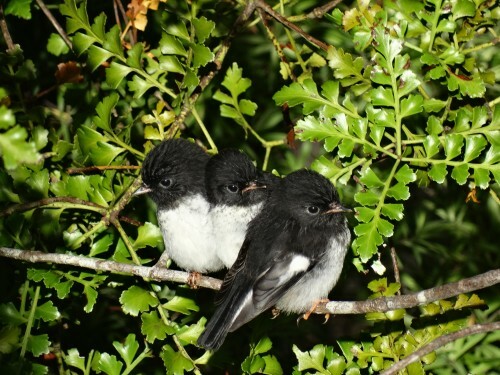 The aim is to make Wellington into New Zealand’s natural capital by converting all its back yards into safe havens for native wildlife to “restore the full dawn chorus and see wings over all of Wellington”. This will build on the existing wildlife hotspots and pest work done by Greater Wellington Regional Council, Wellington City Council and DOC. So I signed up online. It was free – and I will receive a welcome pack, a sticker for my letterbox, access to pest trapping equipment and expert advice. I also contacted Nick Tansley (who is administering the Halo initiative) for more information. The website also mentioned a bib that velcros onto a cat’s collar and interferes with their ability to pounce accurately. I ordered one from their Australian distributor’s website – at $20 it’s worth a try. The cat will hate it, but it might help the birds feel more welcome at our place. Sarah Wilcox has contributed 6 entries to our website, so far. View entries by Sarah Wilcox.